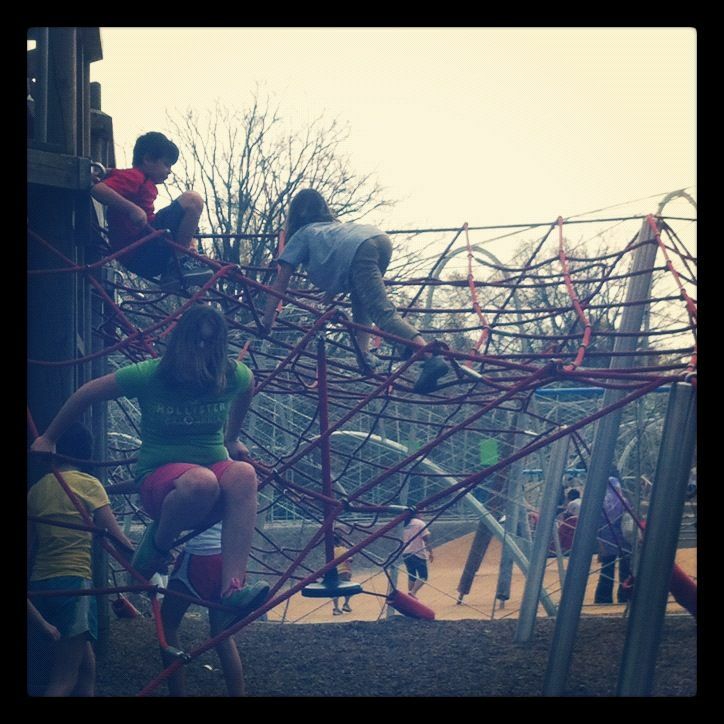 They built a new playground at Shelby Farms last year and we finally got to go check it out during spring break. It was a pretty day so it was a crowded but the park is big enough and there is plenty to do. We stayed away from the sand and water. This is my new favorite Kyle picture, I need to crop out Kaitlyn's arm and lighten it up just a little but I love it!